Celebrate a Special Occasion aboard a Luxurious London-by-Night River Cruise. London by Night Luxury River Cruise, Music, Dinner and Dance. 1) 'Classic' Dinner Cruise of 4 course. 2) 'Premier' Dinner Cruise of 4 course with wine and water. 3) 'Elite' Dinner Cruise: Champagne Welcome Drink, 5 course a la carte menu with wine with meal, liquor, exclusive front of boat seating. Special prices: St Valentine, Christmas Day, New Year's Eve, Easter Dinner Cruise scroll down to the bottom of this page. Email us requesting availability BEFORE using our Online Booking Confirmation System. Book with us your special celebrations with the Best Luxury Cruises. A wonderful, luxurious and unforgettable Dinner Cruise gliding along through Central London. EvanEvanstours Imagine your favourite songs from the world's most famous musicals as the perfect accompaniment to the sights of London. Add a river trip, dinner, dancing and you have the perfect combination for an unforgettable evening. Enjoy Fine Food, Music, superb Live entertainment and professional service in luxurious surroundings comfortably seated at your dinner table. You will experience both the view of the best illuminated historic buildings and enjoy a meal prepared on board by attentive staff and surrounded by a romantic and welcoming atmosphere. * Prior to making any payment, you must first request and have received email confirmation of the availability in order to avoid charges. A live band and singer will provide the background music to your entire evening. A new and extraordinary experience, the freshly prepared International Cuisine, washed down with wine, helps clients to relax. A cocktail as a welcome drink, a 4 course a la carte menu, wine, liquor and during the whole evening, music, songs, the chance to dance or just enjoy a magical evening or celebrating a special moment in your life. P.S. : Please note that during special holidays: Easter, St Valentine, New Years Eve, you can enjoy Special Cruises. Different prices and conditions apply. 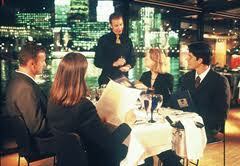 Email us before booking London Dinner Cruises Online. Luxury Cruises do not admit children under 16 years of age.